So much work for you, TJ, and so interesting to look through. Thank you! Just getting a story into a challenge - on topic, in genre, and under seventy-five words - is a win in and of itself. I'm speaking from experience here, having been unable to muster a story for a number of challenges in the past year and feeling more defeated in that than I ever have when I've gotten no votes. I don't think this can be repeated too often. Writing a story is a win, no matter whether it gets votes or not. If we look back over the history of the competitions we can see that even among those who do especially well in terms of votes and official wins, there are months when they simply can't come up with a story. ( Speaking for myself, I didn't miss three months last year because I couldn't be bothered to write a story. I very much wanted to and I was thinking about it all month. But nothing ever crystalized.) It's called a Challenge because it's hard. We have an extraordinary group here in that so many meet that Challenge each month. As someone who has been active on these forums for many years, I am very proud to be associated with such amazing people. And the last, but not least, tranche of the Annual Stats, the 300 Worders. And the good news is we've improved on last year's lows, not dramatically but enough to be encouraged. Perhaps the idea of having the members choose the images is driving that, or perhaps we're just reverting to the mean, but either way it's good to see. And the improvements start with those taking part in the Challenges, with a rise from last year's low of 61, to 66 entrants for 2017-2018. That brought an increase in the number of stories entered, from 140 to 155 entries. No increase in the number of new entrants, though, which remains at 19 newcomers to the Challenges over the year. The best month for entries was again April with 41 (up from 39 last year) and the worst was January with 35, a lot healthier than last year's low of 31. Some 19 of us completed all 4 Challenges (up from 16), while 11 completed 3 Challenges (up from 10), 10 did 2, and some 26 members took part only once, though 7 of those were newbies in the January Challenge. At some point I'll try and work out if these percentages are constant, but any suggestions for encouraging more members to return for multiple Challenges are welcome. Happily, voting also saw an increase from last year's low, and we had 489 votes, up from 450 (though still down on the year before's 516). Those votes came from 165 voters, again a good increase on last year's 152 (though still less than the previous year's 175). In more good news, we had a small decrease in those members who entered a Challenge but for some reason didn't vote, and we only had 10 missing voters, down from 12 last year, mostly newbies to the Challenges though we again had an experienced Challenger who twice missed voting. Fortunately, we again had many more “extra” voters, that is members who voted without having entered that particular Challenge, which came in at 20 extra voters from 16 members. Thanks to all who voted without taking part, with special thanks to DEO and Hugh who each voted twice without participating, and yet again extra-special thanks to nixie who once more voted in three such Challenges! By some fluke I managed to hog the top spot for the year, but only a whisker ahead of Victoria who showed the excellence and consistency of her writing by coming second for the third year running, this time with 34 votes. Phyrebrat was 3rd with 25 votes, while hard on his pirouetting heels was Wruter with 24, which he got in only 3 Challenges. Shooting up into 5th place was mosaix with 22, 6th was Vaz with 21 and Teresa came in 7th with 20, but she also achieved hers in only 3 Challenges. Littlestar again made the top ten, but has moved up to 8th place with 19 votes; Perp came in at 9th with 16, and in 10th place was Cat's Cradle with 15 votes. Then in joint 11th place with 14 votes we have Dan Jones, Luiglin and Robert Mackay, but Robert achieved this placing with only the one entry! As ever, we want to welcome all this year's newbies, and congratulate them on conquering the Challenge by participating, but extra congrats are due to SPoots who got 8 votes in his very first 300 worder, EPT Henry who got 5 in his first, and jackwinabox who got 3. Well done all! So we now have seven full years of the 300 Worder which have given us a marvellous 1092 stories! (By my calculations, Rafellin produced our 1,000th in July!) These have come from from 232 entrants, who have received 3400 votes from 1156 voters. We still have 4 of us having completed all the Challenges (mosaix, Perp, me and Ursa), with johnnyjet and Starbeast having completed 25, Chris p 24, and Jo, Phyrebrat and ratsy 23. But the number of entrants who have only taken part in one Challenge is now 107. I’m still first on the overall leader board, but mosaix in second place is leading the rest of the pack by some margin, having reached the milestone of 150 votes! Victoria continues her dramatic rise up the table, and has now taken 3rd place with 138 votes from her 21 Challenges, while Jo is 4th with 133 votes from 23, and in 5th place is Perp who has 117 votes. Two more members have hit their respective centuries: Phyrebrat has leapt up the table to take 6th place with his 105 votes, Teresa is 7th with 104 votes (in only 14 Challenges! ), both pushing Juliana -- who didn't take part this year -- into 8th place with her 103, while TDZ is trembling on the brink of achieving her 100, with 96 votes. Then we have five members who’ve not taken part in the 300s for at least two years: alchemist with 92 votes, Hex with 65, Cul with 63, and joint equal in 13th place Boneman and Mouse (neither of whom has appeared now in three years!) with 56 votes apiece. Chris p has fought his way up into 15th place with 54 votes, just nosing ahead of Ursa who has 51. Then in joint 17th place are Cat's Cradle and johnnyjet with 48 votes each, Wruter comes in at 19th with 46 (but in only 7 Challenges!) and Luiglin is 20th with 45 votes. So as we head into the eighth year of the 300 Worder, we can look forward to welcoming our 250th entrant, perhaps some more new faces on the leaderboard, and undoubtedly to a wealth of great new stories! Good Challenging Everyone! With regard to increasing voting participation, I know from experience that many forums have an Announcements feature, whereby the moderators can put up a message that can be seen by all members. Therefore, if I may be so bold, can I suggest to use this Notices feature when voting opens on the challenges. This would serve as a reminder to any challenge participants, and might also pique the interest of any members who are unaware of the challenges. It may even lead to more entries! Sorry about the late reply -- I've been away for a few days and not logging on. I've never heard about this Notices feature before, so thanks for digging it up. I've had a look at the link and especially the video, and very interesting it was. I do wonder, though, whether it might be a bit more than we need, while being less effective than we'd wish. I also fear it might irritate people as it magically appears everywhere unless and until deleted, especially as it would be a regular monthly and quarterly thing where everyone would get the notice. I will flag it to the other Challenge mods, though, and see if anyone understands it better than I do, and if there's a way we could make it work to the best advantage without upsetting other members. As I might have mentioned before, in my alternative existence, I churn out the odd web application, so I'm always interested in how other systems work to see if I can pinch any ideas. Sorry, get inspired , so having a dig around is almost fun. I'll stop now I'm starting to sound too geeky. 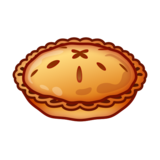 We need a pork pie smiley. Dave, the only admin save for Brian the boss, has had a look at the Notices thing for us, and apparently it's not available on this version of Xenforo. Brian has said he wants to move onto an updated version in the near-ish future so it might be on that one. I'll keep it in mind and we'll have another look as and when the change happens. Woo hoo... I'm finally on the leaderboard. That'll save on the bribes... cough... gifts. Oof, has it been that long? I don't know why, but I find the three hundreds really hard to do. I tend to get an idea, get it half written, and then never get it finished. I should just write seventy-fives for the three hundred! Well, you've got 5 days to finish one for this quarter, even if it's only 75 words long! You could always try stitching 4 75s together. That gives me a really good idea to try out for the next one also. Thanks! Whut? I've not entered for the last three years and I'm still on the table? How'd that happen? I assume because you racked up enough votes during the years you participated to still hold a place on the leader board. Or cuz you is cheat. I'm going for the opposite approach. Sort of like a writers version of Dory out of Finding Nemo... just keep writing, just keep writing, just keep writing. Those one off votes every other month will slowly rack up. It's my Ice Age tactic. What has been happening is that you have been resting on your laurels. Luckily for you, there is a cure: entering the 300-word Challenges (perhaps starting with the current one).